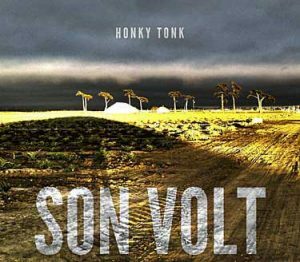 There’s continuity between Son Volt’s last album, American Central Dust, and Honky Tonk: both are inspired by music which is purely American, which has grown out of the heartland & even the American collective mythology. But Honky Tonk delves deeper into country/Americana. Jay Farrar captures the essence of this genre, some of the songs could easily have been written half a century ago or performed by Hank Williams. There are fiddles here, and steel guitar. But though the songs have may hark back to an earlier time, they are all Jay’s – his voice and singing style are perfect for this type of song, it’s as if he were born to sing these. The subjects are ones Farrar’s visited many times before: the vagaries of love, long highways, weariness, struggle, redemption, hope. The roots go not only deep into American music’s past, but into his own: some of these songs would have been right at home on Son Volt’s debut album, Trace – or on an Uncle Tupelo release. The production is just a little murky – this isn’t new for Son Volt and somehow it really works here. (Super-bright and clear notes aren’t what these songs are all about anyway.) The band sounds like they love playing these songs. 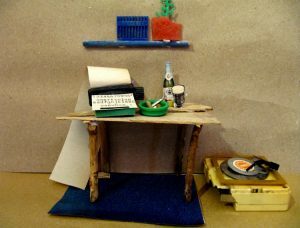 They transport you to a worn roadside bar, at some undefinable moment somewhere from the 1940s to the present. Honky Tonk isn’t an album which will likely shock you – or break much new ground. But it’s perfect for the kind of thing it is. Those who enjoy the acoustic, country-flavored Son Volt – or just want a fresh new take on old-school country, will likely find Honky Tonk spending a lot of time on their turntables. And, it’s going to be the soundtrack to a whole lot of my road trips this spring & summer. Buy Honky Tonk – or preview tracks – here. Honky Tonk is available for less than ten bucks at Amazon. Love it! Will probably be listening to it and watching the video a million times. It really does make you want to take a long road trip, stopping at all the cool little dives along the way, where you can just dance by yourself and nobody cares.